Irvine, Calif., June 6, 2018 — Joining an elite club of environmentally outstanding institutions, the University of California, Irvine has become only the fourth campus in the world to achieve a platinum rating through the Association for the Advancement of Sustainability in Higher Education’s Sustainability Tracking, Assessment & Rating System. In 2017-18, it became the first university to convert its buses to an all-electric fleet. The 20-vehicle, student-funded and -operated Anteater Express shuttle service, complemented by a hydrogen electric bus, provides 2.15 million pollution-free rides annually. And UCI continues to set the pace in implementing cutting-edge energy efficiency technology. Campuswide sensors monitor 465,000 data measurements for energy management, indoor air quality and building system performance every five seconds. This results in unparalleled precision control and efficiency and has reduced campus energy consumption by over 50 percent. Aiming to expand recycled water usage beyond landscape irrigation, UCI partnered with the Irvine Ranch Water District to convert the campus’s central cooling plant to an environmentally friendly system that will conserve more than 80 million gallons of drinkable water annually. 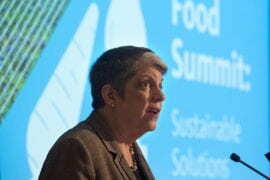 In addition, UCI is making a difference on local, national and international levels via such projects as developing a sustainable energy model for the Oak View community in Huntington Beach, engaging Orange County community college teachers in water resource education, and collaborating with public leaders in the European Union and Middle East on sustainable water resource planning. The campus is a leader in sustainability learning too, both inside and outside the classroom. 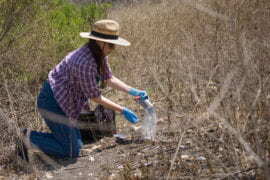 UCI offers sustainability-related courses in more than 85 percent of its academic departments and provides a broad range of co-curricular opportunities for students – many of whom are the first in their families to attend college – to develop an understanding of important global challenges and establish a lifelong ethos of sustainability. Other campuses with platinum status are Stanford University, Colorado State University and the University of New Hampshire. 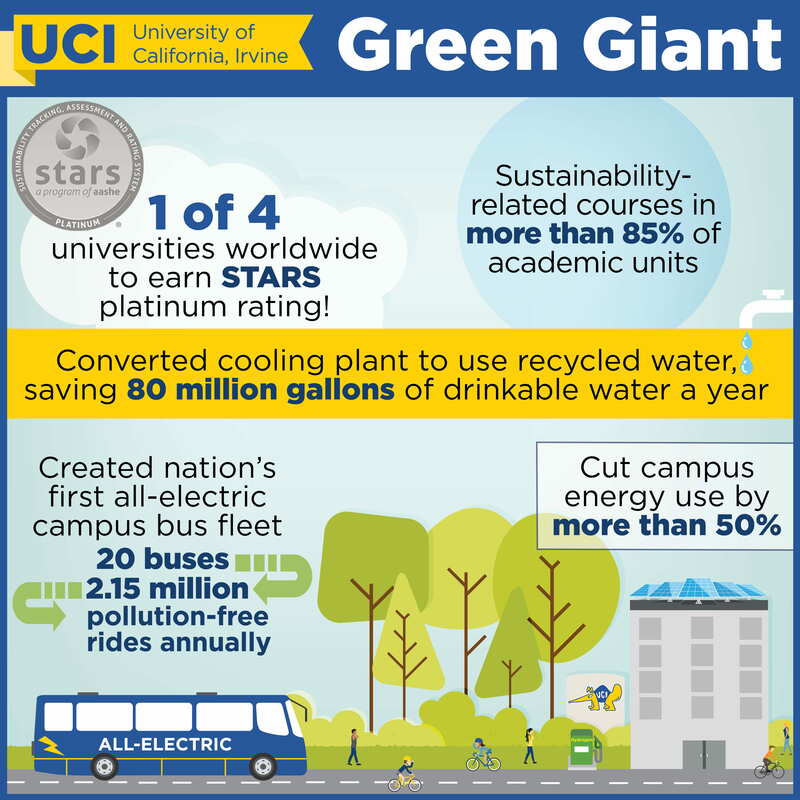 The STARS rating isn’t the only feather in UCI’s sustainability cap. The campus is also the only one to have been ranked among Sierra magazine’s top 10 “Cool Schools” for eight consecutive years, based on its continuing national prominence in green building design, energy management and water efficiency, among other credentials. And the university is a worldwide leader in research on atmospheric chemistry and climate change, sustainable energy systems, ocean and water resource management, and conservation biology, with over 200 faculty members conducting sustainability-related projects. With more than 800 participants in 30 countries, AASHE’s STARS program is the most widely recognized framework in the world for publicly reporting comprehensive information related to a college’s or university’s sustainability performance. Participants report achievements in five overall areas: academics, engagement, operations, planning and administration, and innovation and leadership. Unlike other rating or ranking systems, this program is open to all institutions of higher education, and the criteria that determine a STARS rating are transparent and accessible to anyone. Because STARS is based on credits earned, it allows for both internal and external comparisons. To view UCI’s full STARS report, visit https://stars.aashe.org/institutions/university-of-california-irvine-ca/report/2018-03-28. About the University of California, Irvine: Founded in 1965, UCI is the youngest member of the prestigious Association of American Universities. 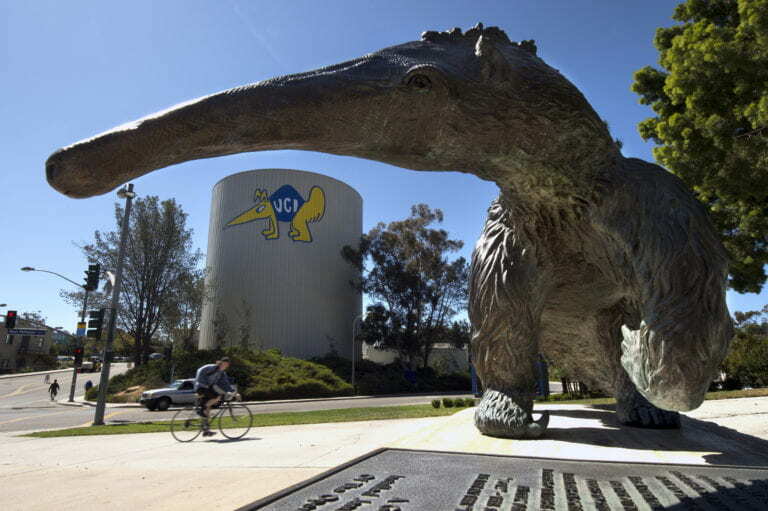 The campus has produced three Nobel laureates, including the only Nobel Prize awarded for climate research, and is known for its academic achievement, premier research, innovation and anteater mascot. Led by Chancellor Howard Gillman, UCI has more than 30,000 students and offers 192 degree programs. It’s located in one of the world’s safest and most economically vibrant communities and is Orange County’s second-largest employer, contributing $5 billion annually to the local economy. For more on UCI, visit www.uci.edu. About the Association for the Advancement of Sustainability in Higher Education: AASHE is an association of colleges and universities that are working to create a sustainable future. Its mission is to empower higher education to lead the sustainability transformation. AASHE provides resources, professional development and a network of support to enable institutions of higher education to model and advance sustainability in everything they do, from governance and operations to education and research. For more information about AASHE, visit www.aashe.org. For more information about the STARS program, visit stars.aashe.org.